OAKLAND, Calif. (KGO) -- NFL team owners are meeting in Chicago for a special one-day meeting Tuesday at a hotel near Chicago's O'Hare Airport. On the agenda is the Oakland Raiders new stadium. 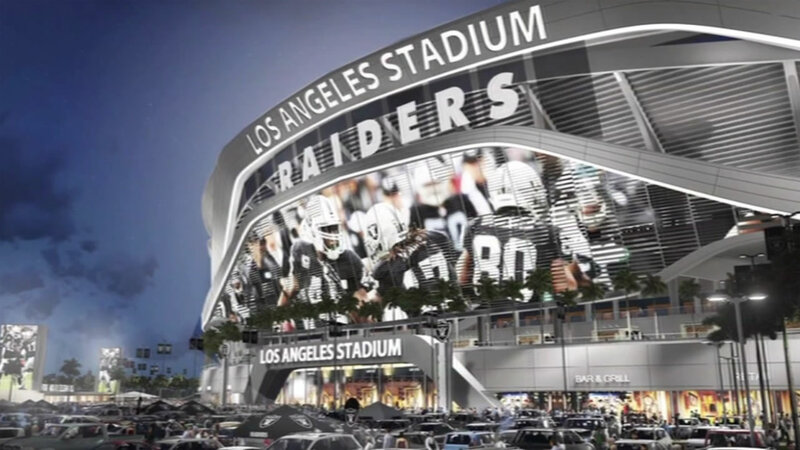 The Raiders and the San Diego Chargers have announced plans to build a joint stadium in Southern California. The silver and black are also continuing negotiations with Alameda County and the City of Oakland about a new stadium. League officials stress they will not vote on any stadium plan. They only plan to hear about projected costs and financing plans.